The TEEN Virtual Academy graduation ceremony took place Sunday, June 24. 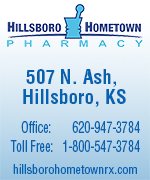 Seven students graduated from the program this year; four students participated in the graduation ceremony. 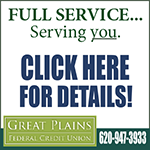 Of the seven graduates, three were enrolled in USD 398 Peabody-Burns, one in USD 408 Marion, one in USD 410 Hillsboro and two in USD 487 Herington. 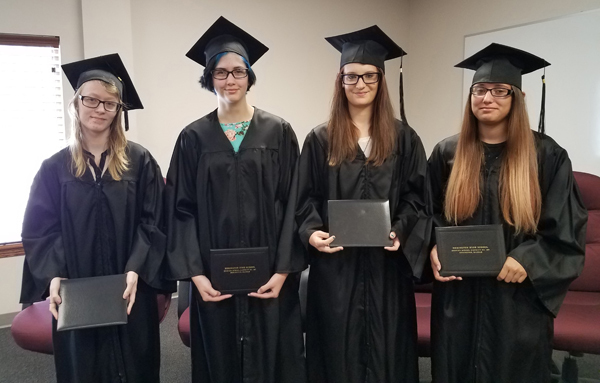 The graduates pictured above are (from left) Angel Montigny (USD 398), Aiyana Scarff (USD 487), Sierra Stone (USD 398) and Callista Thomas (USD 487).